It has been seven days since I made my last update on how my keto weight loss is going in the month of June. In my last weekly update I was down at 97.4kg and had a quite good progress during that week with a total weight loss of 2 kilos. For the second week in June I had quite big hopes since I was only working 2 days in this week and had plenty of time to focus on eating correctly and also going to the gym and focus on my weight lifting. 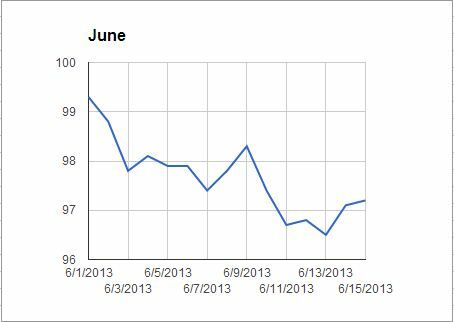 Looking at the start of this week I had a weight gain compared to 7th of June and went all the way up to 98.3 kilos. I am not sure of the reason for this weight gain and I did not do anything special these days. I guess it is just the body holding on to fluids different in differents days or something like that. After reaching 98.3 kilos I had four good days with a drop down to 96.5 kilos which is a new record low for the last 10+ years. I did however not stay at 96.5 kilos and am now back at 97.2 kilos at today’s weigh in making it a total of only 0.2 kilos dropped this week. Not very good at all but considering that I have dropped 2.4 kilos so far this month I am still on track with my goal of 4 kilos keto weight loss in this month. For the weight lifting results this week they have been quite good. I have set a new Personal best in several different exercises and have also felt a lot of energy during my training. I am making good progress now with the gym training and hope that it continues so for the comming weeks also. I have also started to do some training at home where I do some push-ups and also some no weight squats. No regular schedule or goal for these when doing them at home, I just see it as a bonus training when I have some spare time. Will do another update on the keto weight loss in 7 days. Hoping that I will then be around 95 kilos and that I have set some new records in the gym.